Mobile notifications, now on your Browser. 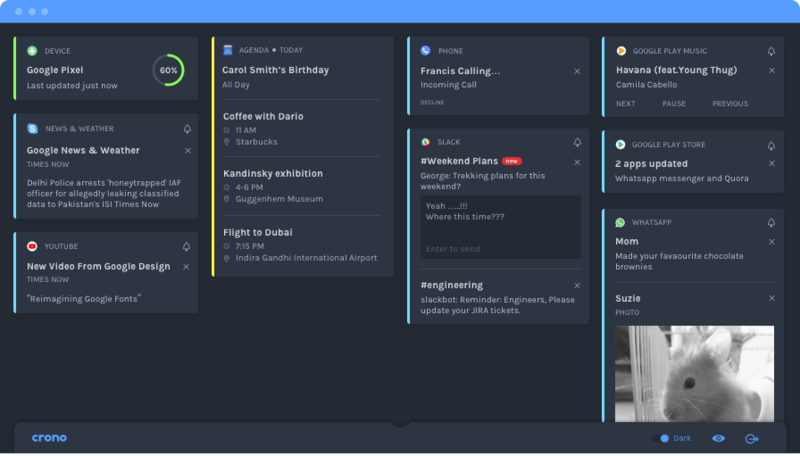 Whether in a meeting or shuffling between tabs, Crono keeps you in sync with all your notifications and upcoming events. 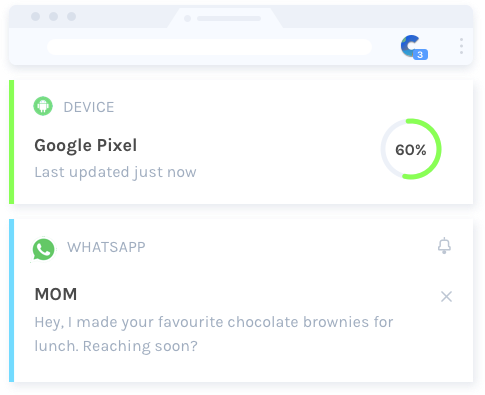 Crono regards your workflow and thus keeps you updated with notifications by giving you a pop-up view over your current tab without obstructing your focus. When we say End To End Encrypted be rest assured of the security of your data. It remains only with you and no other party can read it, not even Crono. We pledge to keep it safe and secure. What good be updating if you can’t reply to your notifications? Right? 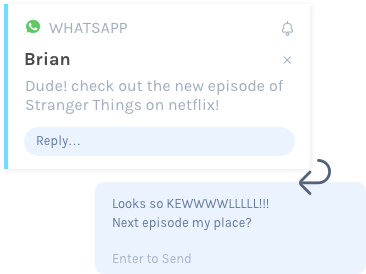 From replying to your WhatsApp messages to liking a shared picture on Instagram, Crono lets you do it all! 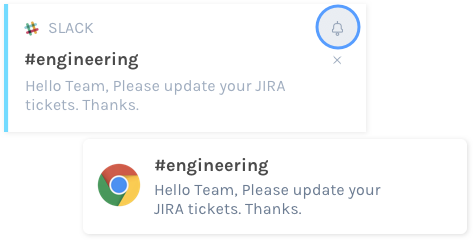 If you still miss the important notifications of the day and want to get instant access to them. Enable the Push Notification feature by hitting the bell icon on the notification.